You may look up the information yourself on this site using the new, easy to use Assessor’s Property Search Database. If you prefer, call the Assessor’s Office at (262) 567-5999. They will ask you for the address, look it up, and tell you the property’s assessment. What if I believe my taxes are too high? If your concern is your taxes, you should contact those responsible for spending decisions, generally consisting of elected municipality council, county board members, and school board members. These are the individuals who determine what services are to be provided and approve the spending that provides the desired services and result in your property taxes, not the Assessor. To find out more about taxes, visit the Finance and Administration Department. Who determines the assessed value of a property? The assessor determines the assessed value of all taxable property, with the exception of manufacturing property. The Department of Revenue makes the annual assessment of all manufacturing Property in the state. Your tax bill may contain a special assessment for some type of public work, such as sewer, water, street, alley, sidewalk, etc. 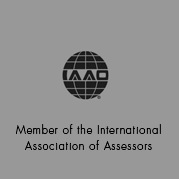 The assessor does not make special assessments. They are based on the cost of the improvement or the repair and billed only to properties benefiting from the work. If you have a question about a special assessment, you should contact the Municipality Clerk. All business owners, including home occupations, must annually fill out Personal Property Tax forms, which are available from the Assessor’s Office. This does not include manufacturing uses, which the State Department of Revenue assesses. For questions or assistance in filling out the form, contact the Assessor’s Office at (262) 567-5999. Each January the Assessor’s Office mails personal property forms to all known businesses. Forms must be completed by the property owner and returned to the Assessor’s Office by March 1st. This activity is followed by the sending of assessment notices and the holding of informal and formal discussions with property owners on proposed assessments. You didn’t visit my property. Why did my value change? The law requires that property be valued from actual view or the best information available. The Assessor’s Office attempts to physically review all property at least once every 5 years. If for various reasons the Assessor cannot enter a property, the assessment must still be reviewed based on the existing records and other sources of property information. If physical data supporting a value change is discovered, the Assessor is required to change the value. The Assessor’s preference is always to be able to physically inspect a property rather than be required to estimate its value based on old data or other sources of information. How can my assessment change when I haven’t done anything to my property? As property values change in the market place, those changes must be reflected on the assessment roll. Periodically, the Assessor reviews real estate market factors to determine if economic conditions are causing property to appreciate, depreciate, or if conditions are static. During revaluation years, the findings of such analysis may result in a change in property assessments regardless of any physical changes to a property. Why did my assessments change at a different rate than someone else I know who lives in the same municipality? There are many factors used to arrive at a property’s assessed value. Even subtle differences between individual properties and between neighborhoods can cause assessments to change at different rates resulting in varied dollar changes from property to property. Market factors (sale prices) also vary from neighborhood to neighborhood and style of home. Thus, it is possible that there may be value increases in one area of the municipality while values are stable or declining in another. For example, one-story houses near a new elementary school may be more in demand that two-story houses, or vice-versa. Older homes in the same area may be rising in value more slowly than newer homes. There are numerous factors to be considered in each property, which will cause the values to differ. Some of the factors which can affect value are: location, condition, siding, basement finish, garages, bathrooms, deck or porch, and many others. Why is the Municipality’s’s assessed value different form a private appraiser’s estimate of fair market value I obtained recently? In general, both estimates of value are arrived at using the same general principles, but can result in different figures because the purpose of each is different. The private (fee) appraiser is completing a site specific single property appraisal usually for a mortgage lender as an estimate of the property’s value on that specific date for use in determining the appropriateness of a proposed loan. The Municipality Assessor’s Office is completing a mass appraisal of approximately 22,000 properties at once in order to value all properties for tax equity purposes. The fee appraiser typically arrives at a value by comparing your property to three similar properties that have recently sold and then adjusting those sales prices based on the way yours differs from those properties. The Assessor’s Office generates a value for your property by first calculating the cost to replace your home with an identical new home and then adjusting that Replacement Cost New Value for age and condition depreciation, and in revaluation years, appreciation associated with market conditions (comparing to potentially hundreds of sale properties). What is the difference between assessed value and equalized value? State law recognizes that every municipality cannot be assessed exactly at market value each year. The law only requires that any given municipality assess all its major classes (residential and commercial) within 10% of market value once in any 5 year period, so long as there is equity in assessments within that municipality. Thus, because assessment ratios to market value can vary between cities, towns, villages, it is necessary for the Department of Revenue to convert the assessed values for each jurisdiction within a county to a uniform level. 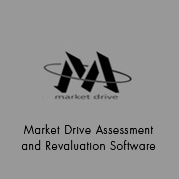 These uniform values are called equalized values because all the various local levels of assessment have been equalized or converted to equal 100% of market value. The equalized values are used for apportioning county property taxes, public school taxes, vocational school taxes, and for distributing property tax relief. If a property sells, can the Assessor change the assessment to the sale price? 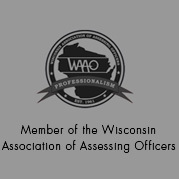 The Assessor must review the sale and make the decision in accordance with Wisconsin statutes and Wisconsin case law. Typically, the sale price is strongly considered if the sale is between two unrelated parties, and the property was customarily advertised for sale on the open market. The Assessor must also consider the sale date relative to the assessment date and any modifications that may have occurred to the property before or after the sale. In general, however, a valid sale price is a good indicator of the property’s value. Yes. The notice must be in writing and mailed at least 15 days prior to the Board of Review meeting. The notice contains the amount of the changed assessment and the time, date, and place of the local Board of Review meeting. The notice must include information notifying the owner of the procedures to be used to object to the assessment. Is my property assessment fair, accurate, and equitable? The Municipality uses a CAMA (Computer Assisted Mass Appraisal) system to produce property values. The simplified description of that is “a giant calculator”. Physical property data and other value factors collected and monitored by Assessment staff are entered into the calculator and it completes the math. Thus, in general, your property has been assessed equitably since the value has been arrived at using the same principles, practices, and math used to estimate the values of all other properties within the municipality. Your assessment is accurate if the data that was used for your property is correct. That is why the Assessment staff periodically requests to inspect properties and update data. Uniformity of assessment within each class of property and between the classes is another indicator of equity. The Wisconsin Department of Revenue annually reviews the assessment levels by class for each jurisdiction. In summary, if your assessment is accurate, equitable, and uniform, then it is a fair estimate of the value of your property. So how can you tell if your assessment is accurate you still ask? The best indicator is that if your house is assessed at a value equal to or less than the range of values that similar homes in your area of the municipality are currently selling for, that is a pretty good indicator that your assessment is accurate. Remember that for every style of home in every area of the municipality, there will be homes at the top of the sale price or assessment range and homes at the low end of the sale price or assessment range. If you believe that your assessment is outside of the range of what similar homes are selling for or that they are assessed at, then you should visit with the Assessor staff during Open Book to confirm that their data is accurate. Why is my waterfront property assessed higher than non-waterfront property of similar style and condition? Waterfront property is frequently considered more desirable than property not on the water. The fixed supply and attractiveness of waterfront property generally increases the market value of your property and, hence, are reflected in your assessment. This situation may also occur with other factors such as when a property adjoins public open space like parks and greenbelts or school grounds. What if I don’t allow a municipality employee to view the inside of my property? The law requires that property be valued from actual view or the best information available. The Assessor keeps records on the physical characteristics of each property in the municipality. Even though the Assessor may have been unable to go through your property, the assessment will still be reviewed based on the existing records and other available sources of information including comparison to similar properties. Obviously, the estimating process is less desirable than valuing based on actual view. In addition, it is much more difficult for a property owner to contest an assessment if they have not allowed the Assessor to view their property. Am I penalized for improving my property? 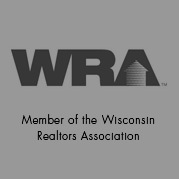 Wisconsin Law requires a property to be assessed based on fair market value. Generally speaking, improvements that increate the market value of a property will increase the assessed value. Those improvements also increase the properties functional use and the occupant’s quality of life. As such, although an improvement may increase your property assessment, it should also make the property a better place to live; and thus, you as the property owner muse balance the cost to benefit of improvements. The following are typical items that will increase the assessed value of your property. Am I penalized for repairing or maintaining my home?